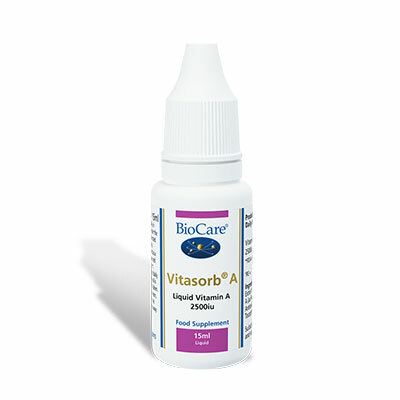 Vitasorb A is medium potency in a simple, hypoallergenic extra virgin olive oil base. 2500iu per drop. SKU: BIO25015. 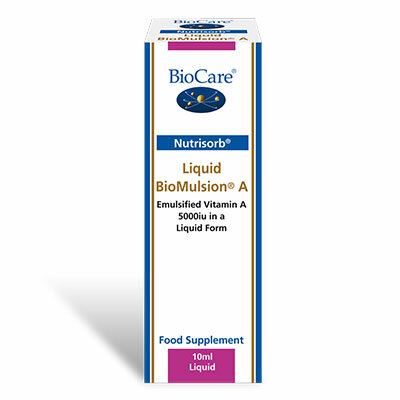 Categories: Liquid Vitamins & Minerals, Nutrisorb & Vitasorb Range, Vitamin A.
Vitamin A may be an essential ingredient for an optimal immune system and is involved in the health of bones, skin, hair, teeth and gums. 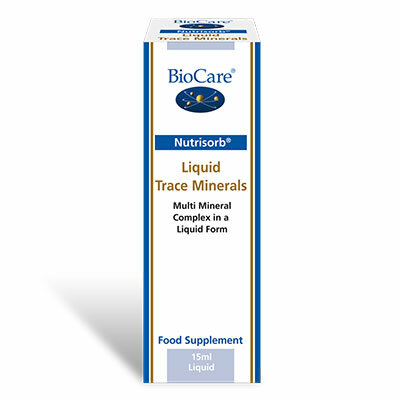 This unique liquid formulation from Biocare is micellised for more effective absorption. Particularly suitable for children and the elderly. One drop taken daily in water, juice or milk with food or taken directly under the tongue, or as professionally directed. Do not use during pregnancy or if pregnancy is being planned. Not suitable for individuals with a history of kidney stones. Do not use in cases of Vitamin A hyper-sensitivity.